Our guests can experience a myriad attractions and landmarks, such as Ocean Ventures, Fitzsimmons Snake Park and Umhlanga Lighthouse. 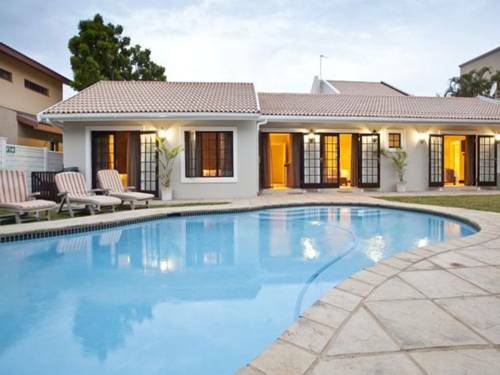 Our bed and breakfast is also located close to dolphin viewing and golfing facilities, making it a popular spot for leisure and business travellers. Fairview Bed and Breakfast offers great service and all the essential amenities to rejuvenate travellers. Our bed and breakfast has an outdoor pool with a sun-lounger terrace and offers great garden views. With parquet floors and modern furnishings, rooms at Fairview Bed and Breakfast have been carefully appointed to the highest degree of comfort and convenience. Our rooms come equipped with air-conditioning, a minibar and a flat-screen TV. Each morning, our guests enjoy a self-service Continental breakfast, as well as a full English breakfast in the dining area. Fairview Bed and Breakfast also features a traditional South African braai (barbecuing) facilities. Free private parking is possible on site.